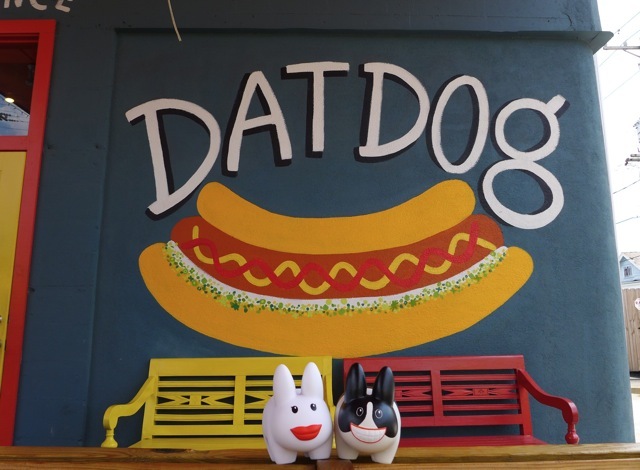 Year of the Labbit: Dat Dog! There are some things you have to eat if you're going to New Orleans. A Po-boy. Gumbo. Jambalaya. Muffuletta (must, must, must). Beignets. 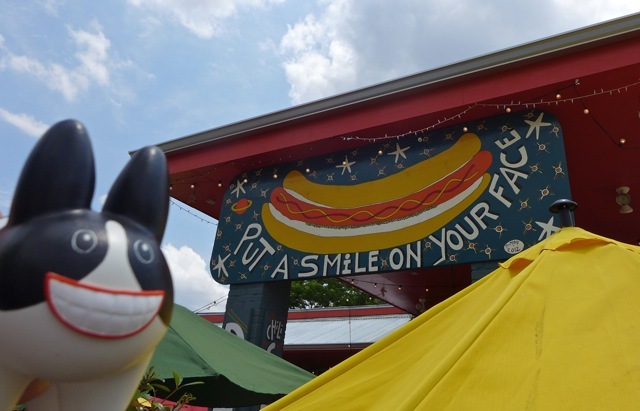 This is one of Ted's favorite places to eat in NOLA. 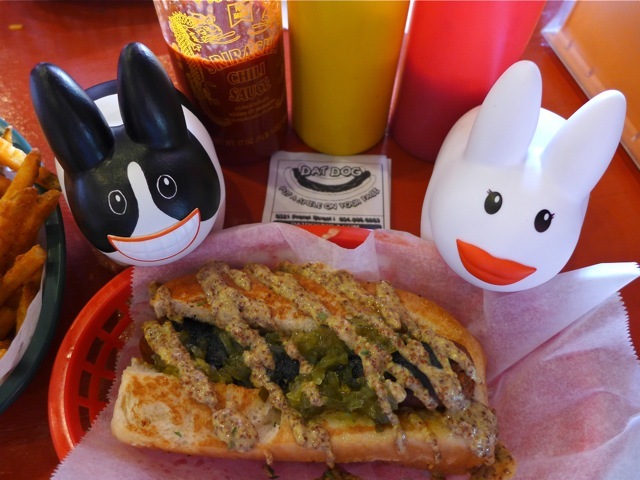 If you're vegetarian like a labbit, have no fear, there is a spicy chipotle veggie dog. Otherwise, take a look at the menu and the specials board and don't forget the fries. Dat Dog is something special, and it'll put a smile on your face. There are three locations now. 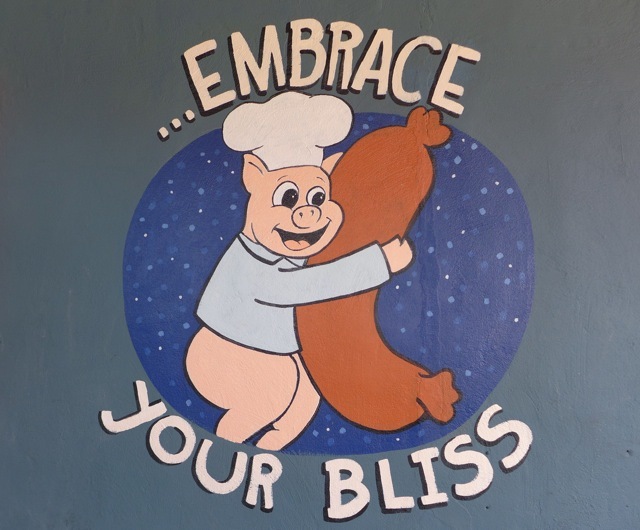 Ted and Clover are at the original location on Freret St., but there's also one on Magazine St (uptown) and just east of the French Quarter in Faubourg Marigny.